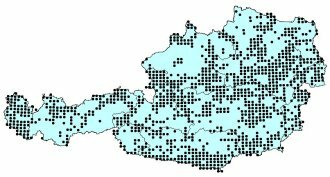 The aim of the Austrian Vegetation Database is to gather computerized phytosociological information (vegetation relevés) from the territory of Austria in a large database that will facilitate easy access to relevant data for the purposes of vegetation science, nature conservation etc. The data are stored in TURBOVEG format which is a European standard software for phytosociological databases. 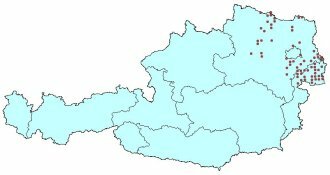 The Austrian Vegetation Database is managed by W. Willner (Vienna Institute for Nature Conservation & Analyses). It is part of the activities co-ordinated by the Working Group for European Vegetation Survey of the International Association for Vegetation Science (see SynBioSys). Large parts of the database have been gathered between 1997 and 1999 (project "Numerical analysis and classification of the Austrian forests", funded by FWF Austrian Science Fund) and between 2001 and 2003 (project "GIS-based vegetation data base of the Austrian Alps", funded by the Austrian Academy of Science). However, the database is still far from being complete. Especially, anthropogenic vegetation (pastures and meadows, weed communities) and (semi-)aquatic vegetation is only insufficiently covered yet. On 1 January 2008, ca. 36.000 relevés have been available in TURBOVEG format. About the same number of relevés is still waiting to be computerized. Several hundred relevés are already available in digital format but not yet imported into the database. Due to the absence of funding, progress is rather slow at the moment. Scientific co-operations are welcome. The database is open for non-scientific purposes as well. However, a management fee of 60 € per hour has to be charged in the latter case. Classes following Mucina et al. 1993, Die Pflanzengesellschaften Österreichs, Teil 1; Grabherr & Mucina 1993, Die Pflanzengesellschaften Österreichs, Teil 2; Willner & Grabherr 2007, Die Wälder und Gebüsche Österreichs.